Having a knowledgeable translator of an organization’s business security vision and strategy into an effective enterprise security architecture will significantly benefit in a proactive manner.Your data is the lifeline of your business. Any breach to your data, applications and network could have serious consequences for your organization.Our security solutions & services keep your entire technology infrastructure secure, from remote access points to your internal networks. 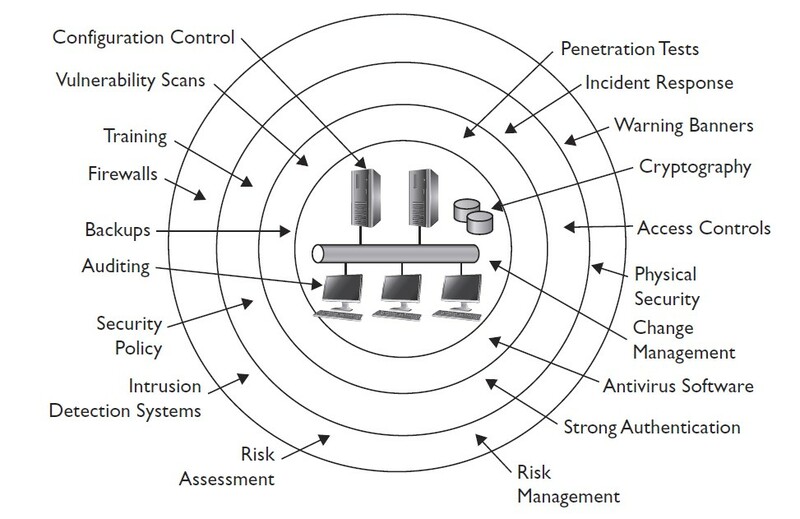 A defense in depth strategy is required in organisations by adding several layers of ICT security controls to reduce operations risk by either reducing business and ICT vulnerabilities or the impact of a threat on the organisation. One of the primary benefits of a defense-in-depth strategy is that even if a single control fails, other controls still provide protection. CNS provides defense in depth business led ICT solution providing business assurance and effective operational risk management. These solution normally are expressed in terms of protecting availability, integrity, authenticity and confidentiality of business information whilst providing accountability and auditability. CNS covers these end to end spectrums in our design, provisioning and deployment of ICT security. The foundation of our security practice is the ability to estimate and reduce risks and recognize how security controls and IT safeguards diminish risk and protect the confidentiality, integrity and availability of information assets. In other words, defense- in depth- strategy. We follow the Defense- in- depth methodology that recommends adding several layers of security controls to mitigate the risk by either reducing vulnerabilities or the impact of a threat. One of the primary benefits of a defense-in-depth strategy is that even if a single control fails, other controls still provide protection.